Entranced, the first novel in the Soul Mates series, is written in five parts, and has also been serialized. 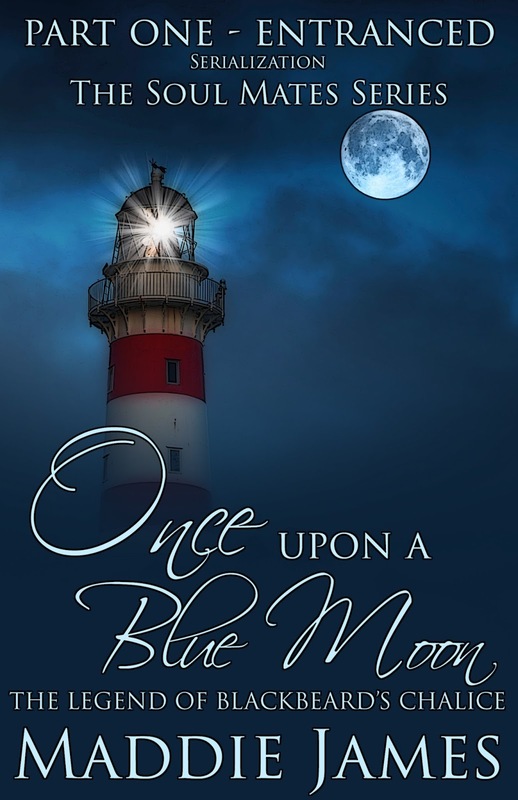 You can find each of these five parts for sale at all major retailers, with Part One, Once Upon a Blue Moon, available everywhere for FREE! This is a great way for readers to start reading the story with no cost. I'm excited to provide this opening for readers, and it's my hope that once you start reading, you'll want the rest! Of course, you can purchase the entire complete novel in one volume, if you like too. But if you want to give the story a try for FREE, why not? 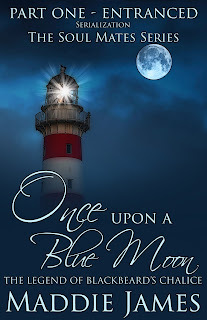 In Part One of Entranced, titled Once Upon a Blue Moon, Claire Winslow vacations on an East Coast barrier island, content with her life and her potential future—until the illusion of a man walking the misty shore haunts her. Then one kiss—a beautiful, soulful, stolen kiss in the night—and her life changes forever. Nearly 300 years past, Jack Porter is in hot pursuit of his kidnapped wife. Not an easy feat considering the year is 1718 and the kidnapper is the notorious pirate Blackbeard aka Edward Teach. Determined to rescue his wife and take the pirate’s head in the process, Jack steals aboard the pirate’s ship to save her. Jack and Claire set out on a wild search through time, not only for the resolution to a powerful attraction between them, but also for a historical artifact that holds the key to their future happiness—the coveted silver-plated chalice made from Blackbeard’s skull.